Catering the perfect event is quite the challenge. It tests a caterer’s knowledge, professionalism and endurance in the industry and separates the great ones from the rest. The skills and hard work required for such a task come from the many experiences of event planning, cooking, communication and preparation, all of which collectively combine to form the necessary skills of catering. Professional caterers everywhere understand what it takes to be the best; delicious food, great presentation and flawless execution. Catering the perfect event is all about preparation, from planning the meal options and proportions to managing the way food is prepared and presented and much more. To some extent, one can never be prepared enough it seems, simply because some things are just bound to happen on their own. As John Lennon once said, “Life Happens When You’re Busy Making Other Plans.” Although many of life’s circumstances are unavoidable, this is where experience makes a huge difference in the industry. Experience sets any professional apart from the rest and catering is no exception to this fact. Those who’ve catered hundreds of events clearly have a better chance of catering the perfect event. For instance, they know how people interact at events, what people favor most and what their overall behaviors and attitudes at events are like. They know what to expect and can prepare for it, whereas new players might not foresee certain things happening due to a lack of experience. Food Preparation and Handling: This is critical. In case some people have food allergies or are vegans or vegetarians, proper food preparation and handling procedures must be taken. Don’t reuse spoons, bowls, appliances, etc. and wash utensils if using on other dishes. It’s important to find this out earlier on, if possible. Labeling: Similarly, proper labeling is also just as important. This lets the catered parties to quickly identify what they can or can’t eat. However, labeling can be accurate, but if proper food preparation and handling procedures were not taken into consideration, then the labeling is void of any purpose. Hot Items: Make sure the parties know if something is hot. Almost all of the food containers are metal, which conduct heat very fast. Ensure that spoons aren’t all metal and have a rubber or comfortable handle to scoop food. Without the right managerial staff, an event will never be catered perfectly. Food wouldn’t come out on time and there’d be no supervision of how the food was prepared, handled and presented. This leads to potential health hazards, plus it affects the brand image of your catering service. Without managers, a lack of organization would follow, leading to further problems down the line. 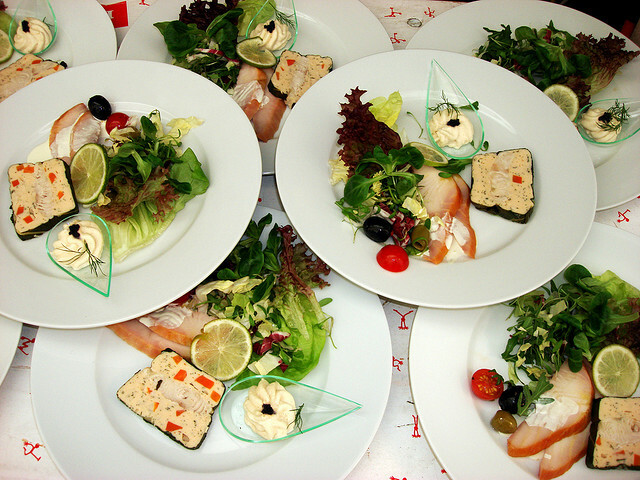 During the event, managers should supervise everything from the preparation of food to its presentation on the table. If it doesn’t look professional and/or unique then people won’t take your catering seriously, meaning it’s far from perfect. How many times have you heard the phrase, “Communication is Key?” Too many to count probably, but it’s true, truer than true even. Communication affects so much in an industry that is fast-paced, one that has high expectations and even more criticism, such as the catering industry. People need to talk to each other, whether it’s supervisors and cooks or managers and event planners. The more information passed on accurately and regularly will lead to a more professional team and a perfectly catered event. 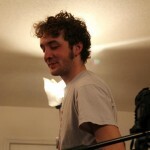 Sam Ott is a writer who loves to share his interest of food, travel, business and film. He currently pursues his interest in filmmaking and videography and has co-founded a small production company to help promote film in his community.